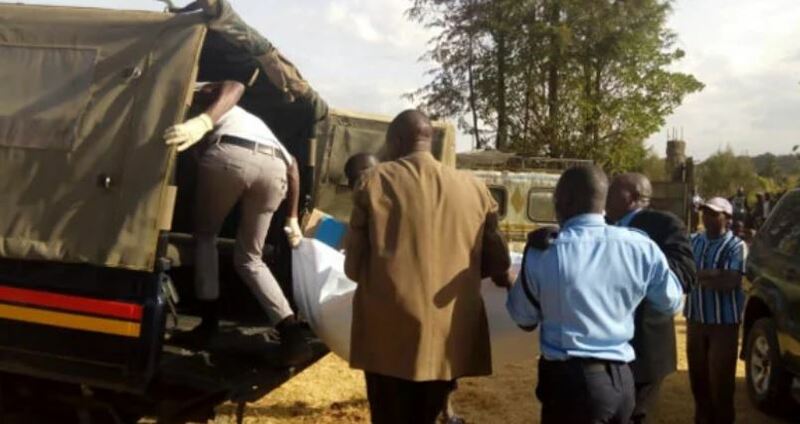 Police load the body of John Maina who was killed by his son at Silanga village in Ol Kalou, Nyandarua County, on February 6, 2019. 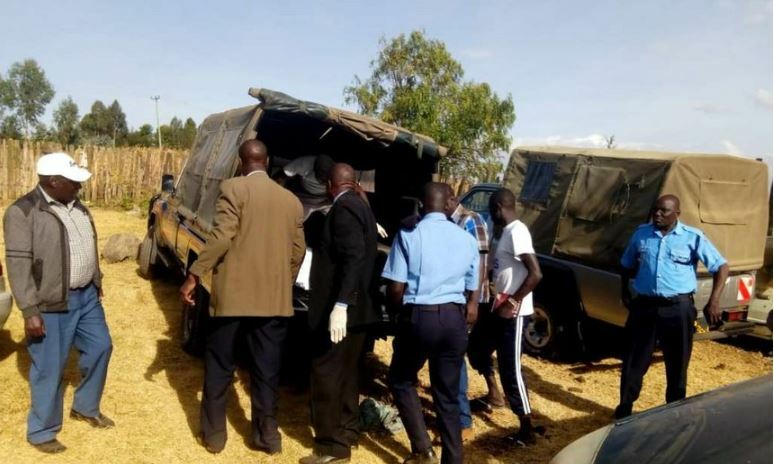 A horrific murder has left residents of Silanga village, Ol Kalou, Nyandarua County in shock after a middle-aged man attacked his father killing him on the spot. The suspect, 38-year-old Daniel Kamau, went berserk on Wednesday and attacked his 67-year-old father John Maina with a garden fork after he was reportedly denied money. After the incident, the suspect is said to have initially told neighbours that his father was murdered by unknown assailants. The suspect’s elder brother Mr Joel Mwangi, however observed that Kamau’s story wasn’t adding up. “But I noticed he had a cut on his hand and I asked him how it happened. He said he got injured while starting his father’s car to take his body to the JM Memorial Mortuary,” said Mwangi. Neighbours who rushed to the deceased’s farm found Maina’s body badly mutilated and with a deep cut on the head. The matter was immediately reported to the chief who called the police. The suspect, who is said to be suffering from mental health issues, would later confess to the grievous crime saying he had to teach his father a lesson for arrogantly refusing to give him Sh6,000. “My father tried to slap me when I demanded money from him. He said I was lazy and useless, (so) I attacked him to teach him a lesson,” the suspect reportedly said. “He insulted me yet he knows I get mad. We decided to fight to see who could beat the other. I took the fork jembe and hit him hard. I then took the knife and cut his neck,” he added. Neighbours described the deceased as a friendly man.